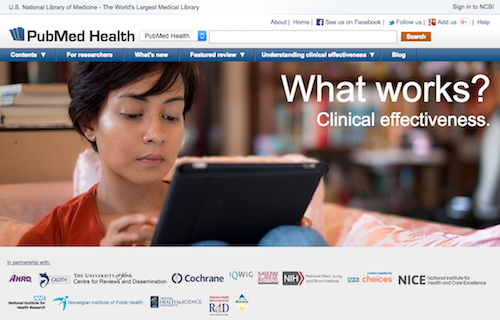 WebLib, a small international technology startup of experts in information retrieval, natural language processing and medical informatics, recently released NLMplus, a semantic search and knowledge discovery application that utilizes a variety of semantic resources and natural language processing tools to produce improved search results from the vast collection of biomedical data and services of the National Library of Medicine (NLM). This is the kind of story that gets me out of bed before I go to work in a few hours at our small medical library and to try to get the news out of what should be a fascinating development in search, Health 2.0, Science 2.0 and public discussion of patient empowerment and in neurologic science generally. I have been sent through my connections at AltSearchEngines and Next Generation Science a link to the Marketwire press release “PatientsLikeMe Launches Genetics Search Engine for ALS Patients“. I spent many hours in the amyotrophic lateral sclerosis community of Patients Like Me in 2007 — 2008 and still visit it occasionally. It is a remarkable instance of a close-knit group of people united by the personal tragedy of either having Lou Gehrig’s Disease (ALS) or caring for and/or about someone with it. The founders of Patients Like Me (PLM), Jamie and Ben Heywood, have since created similar online patient communities for Parkinson’s Disease, Multiple Sclerosis and so on. I briefly met Ben Heywood at a recent Health 2.0 conference. Both he and Jamie are frequent speakers at Health 2.0 and Web 2.0-related gatherings and have been the subject of books and documentaries. The documentary So Much So Fast shows the courageous struggle their brother Stephen made against the ravages of ALS. The solidarity and love his family showed in that struggle is one of the most moving films ever made and should be viewed by literally anyone in the health sciences, encompassing as it does the minutiae of confronting ever growing disability and the quest to obtain accurate medical information in the Internet Age. The Heywood brothers have accomplished remarkable things across a variety of fields, notably in prodding the research establish to fast track research in ALS and to engage in far more transparent practices. They and men like Augie Nieto are the kind of people that leave one feeling that individuals can make a difference even in the face of such frightening specters as a diagnosis of ALS. But I do have my qualms and concerns about some of the PLM initiatives. Even when papers about it appear in the standard medical literature in PubMed, the authors of the papers are usually affiliated in some way with PLM. It would be nice if there were at least a few by neurologists who have no relationship at all to PLM that reported on advances made as a result of the data acquired from the self-reports that PLM members upload to PLM databases. The search engine is simply called the Genetics Search Engine, although it covers only ALS and thus is likely to create some branding confusion. As noted, there is the matter of branding. The wording “… other upgrades like it” suggests that this is the first of what may become a series of search engines for genetic mutations. 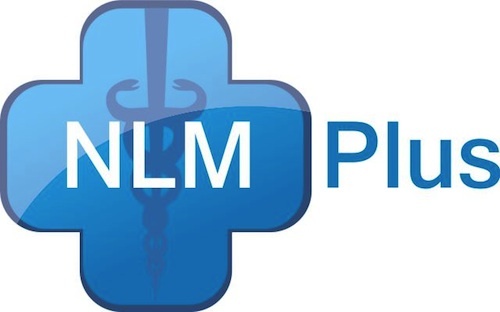 That is an intriguing development and illustrates the genuine knack for marketing and technological innovation that has always made PLM a leader in the patient social networking space even as other such communities (such as Trusera) with much less drive to actually contribute to the medical science related to the travails of members have struggled to attract and retain users. The Genetics Search Engine does not appear particularly innovative or interesting vis-a-vis search technology. It seems, indeed, to be fairly unspectacular and rudimentary in that respect. But it is certainly more handsome and engaging than ALSOD: the Amyotrophic Lateral Sclerosis Online Database, which covers only SOD1 mutations and is designed for medical professionals, not patients and the general public. The wording “Imagine finding other patients just like you, down to the genetic level” is quite fascinating. ALS is a rare disorder and now patients can find in that small group an even smaller group and, now, so can researchers. This has all kinds of implications for organizing patients into lobbying groups for research into that particular mutation. That might actually advance research, given that the intense study of one gene or one mutation could benefit the entire ALS population. Alternatively, it could hinder advancement if a vocal group successfully wins earmarks for what turn out to be blind alleys. In any case, it is a brave new world in which people can form political, emotional and social bonds on the basis of genetic mutations. This is a good thing for public education in medical matters and public discussion of important scientific and bioethical matters. Beyond the research implications of what this means today, if you’re a patient with familial ALS, you can now use this information to make better decisions about your healthcare and learn from the experiences of others like you. But that group is a small subset of the greater ALS patient population as a whole and the press release makes it sound like the Genetics Search Engine is a potential boon for all ALS patients. It could be, but that isn’t made clear. But one should not complain too much given the obvious solace and genuine enjoyment members find in PLM and the impressive amount of useful information exchanged there on matters of nutrition, respiratory care, assistive technology and such, necessary in the care of patients with this illness. The fact that PLM has 3,400 members worldwide alone is impressive given that there only an estimated 30,000 people with the disease in the U.S. in any given year. It will be interesting to see what public comment discussion is engendered by this development vis-a-vis patient education and genomics, and the ethical and health information management issues raised by patients taking an ever more intense interest in the building blocks of their very beings and expecting frontline clinicians to treat them by utilizing such data. This not just an ALS story. This is a new era in medicine.